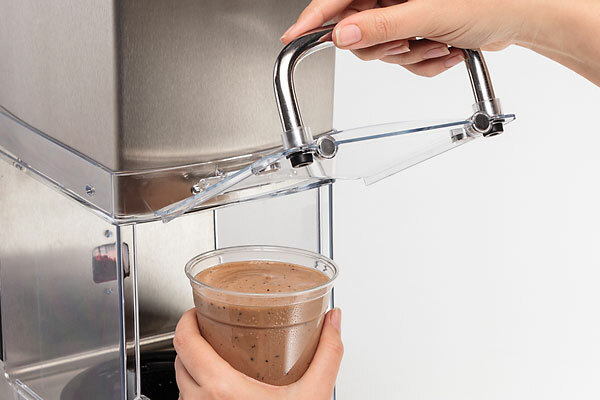 Our commercial beverage blender can be paired with a tempering cabinet and point-of-purchase display to offer highly profitable milkshakes and smoothies in a self-serve format. Your customers will love to make their own drinks while you enjoy a new profit center utilizing a minimal amount of space. Customers mix their own shakes and smoothies and bring them to the register to pay. Shakes and smoothies will be stocked by your dairy distributor, so sanitizing the equipment is all you need to do! 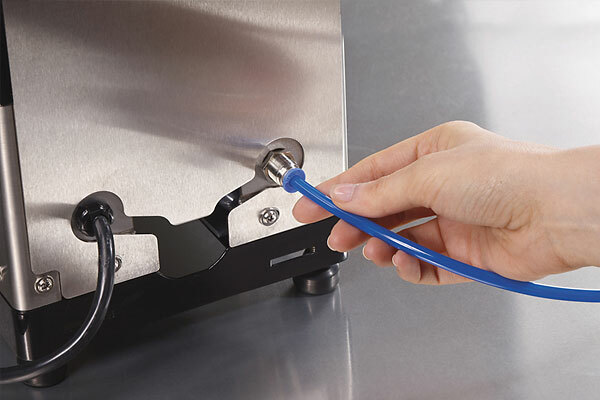 SmartServe sits on or next to a tempering cabinet, which holds pre-portioned ingredients at an optimal temperature and maximizes visual appeal for impulse purchases. Tempering cabinet and point-of-purchase display not included. To see how our partner Hershey’s Ice Cream uses our SmartServe to create their self-serve milkshake program, click here. 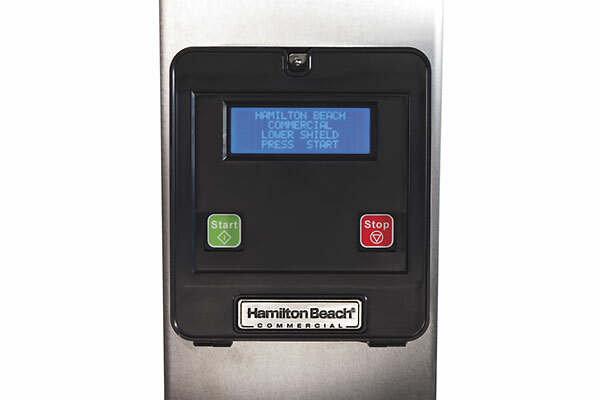 Customers just press start and SmartServe indicates when their shake or smoothie is done. 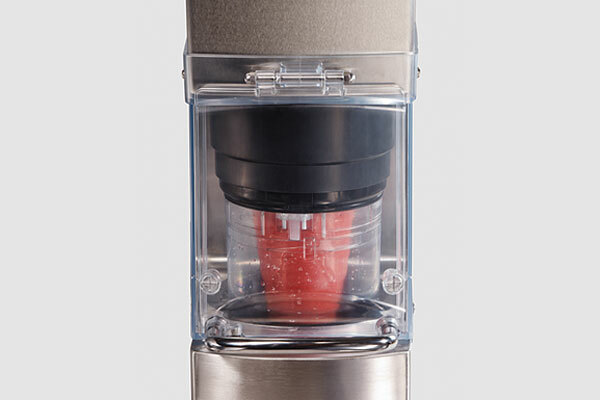 Compared to making shakes with hand dipped ice cream, SmartServe™ facilitates eliminating ice cream waste. Cups of ice cream are pre-portioned to ensure customers get the same amount every time. 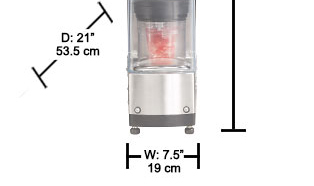 Mixer requires only 7.5 of counter width (does not include tempering cabinet to hold ice cream). 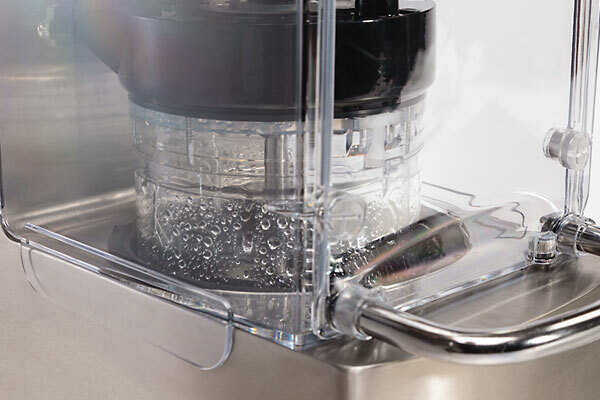 Once customers remove their shake or smoothie, the equipment automatically rinses itself with as little as 10oz/300ml of water. With a perfectly controlled process. 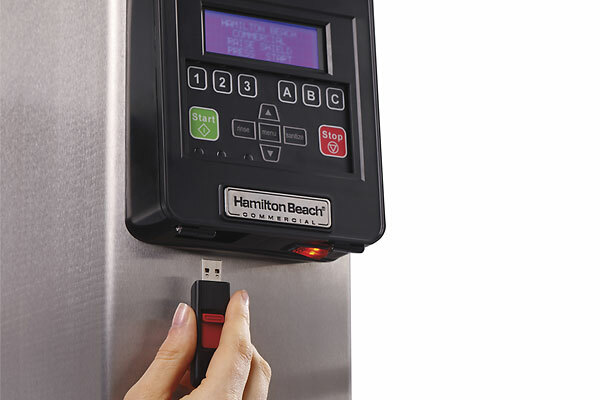 Machine parameters can be changed easily via USB port. Just requires a standard 1/4 O.D. water line and standard 3/4 PVC drain.